Check out this Glitz! I did this border for an altered gift box you will see later this week. I thought I would show you all how it was done. Supply list and more glitter techniques are posted at the P K Glitz Blog. First you’ll need to punch a border with your border punch. Here you can see a small square punched around with the border punch. 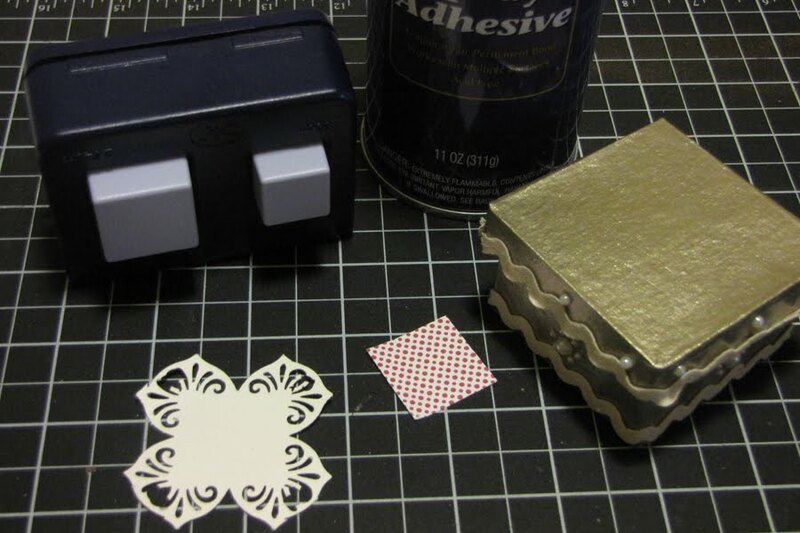 Then you will also need to punch or cut out a square to fit inside the border. 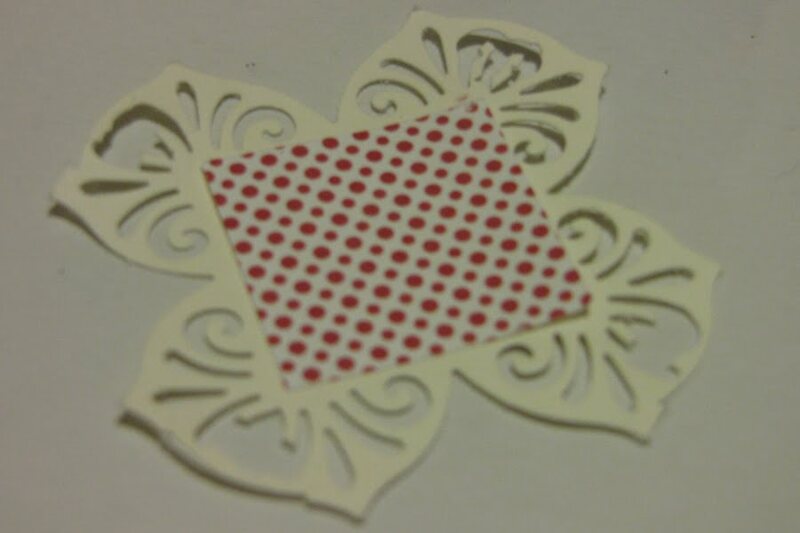 Do this out of scrap paper, seen here in red polka dot. Adhere the scrap paper with removable adhesive, centered in the middle of the borders of the punched cardstock. 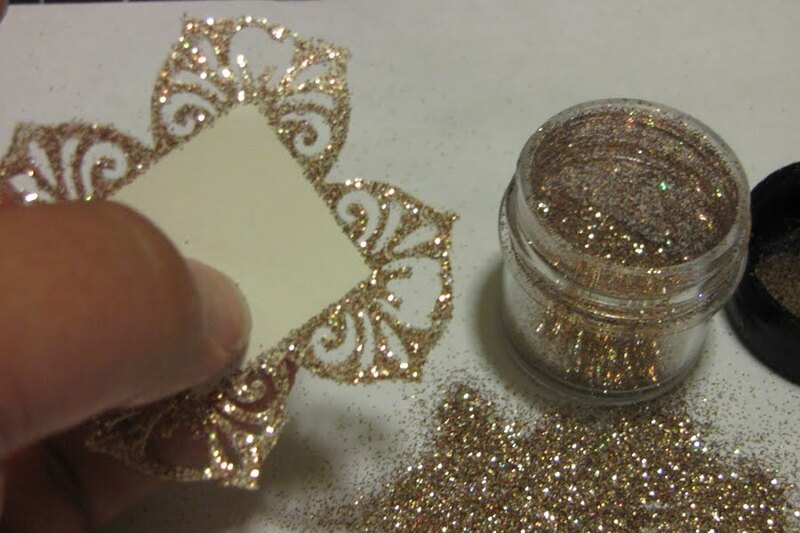 Spray the exposed punched border with spray adhesive and then quickly move it to your prepared glitter area. 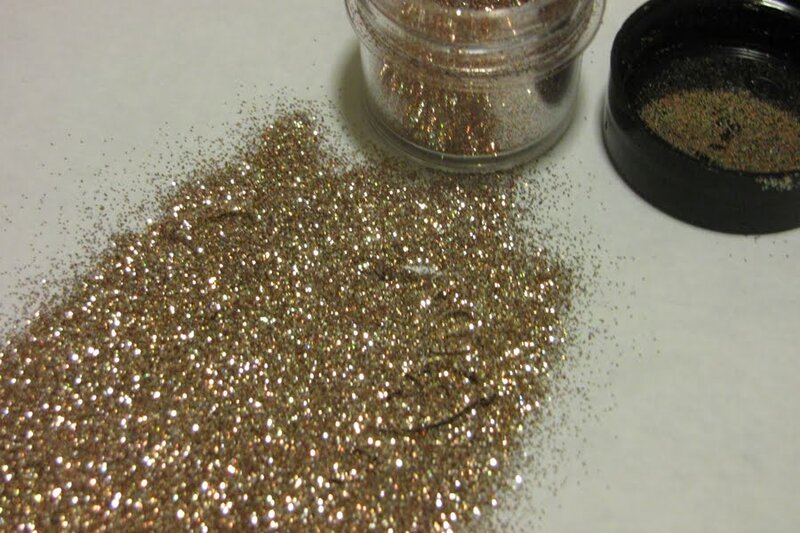 Sprinkle it with P K Glitz Glitter Glitz in your choice of color. See how sweet that makes it. I can see this as a border of a card or even a photo or the border of a layout. Your limits rely on your imagination! Have fun with your Glitz! This is just adorable! just luvin it! 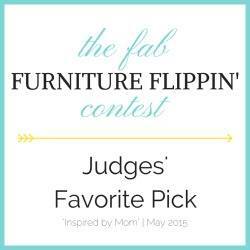 Oh so pretty...what a great idea!! Hope all is well...have a great one!! !